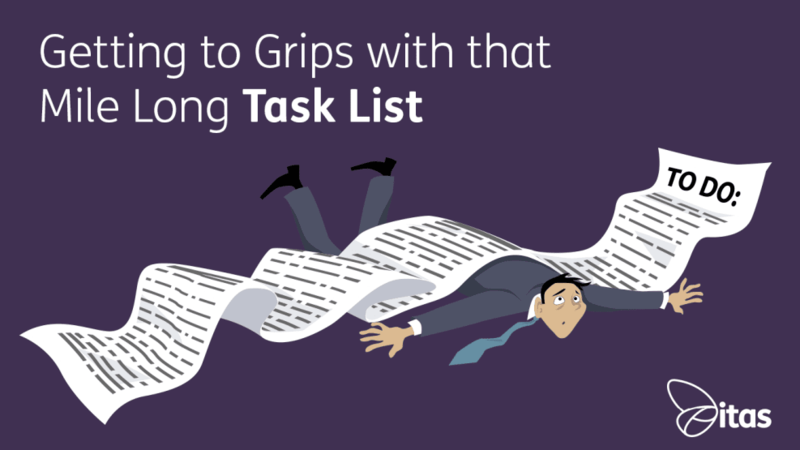 If your like me and have a job description that could challenge the length of the latter Harry Potter books, you probably have a task list just as long. I am going to give you some of my top tips for managing that never ending list. Here at itas I am the one in the office that people usually go to for things, so as a result my task list just gets longer and longer by the day. 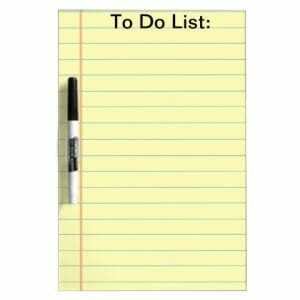 There isn’t a day that I don’t add at least one thing to my to do list. Since being in my current role where I have more time to focus on those to dos for the business, I’ve found that i need to have different lists for the different priorities. Here at itas we use many different tools to try and be more productive or efficient at what we do, to get even just one more thing done in our day. I have tried the following different apps for managing my task list. from the my tasks in our internal messenger Glip to Wunderlist. At itas we use Glip as our internal messenger for employees, which is accessible on a smartphone, via the web or on your pc. It allows you to also assign other people or a team tasks and to share and collaborate on files together. As well as many other features. We use Glip for lots of messaging in the office so I found myself losing sight of the tasks in there due to lack of visibility. 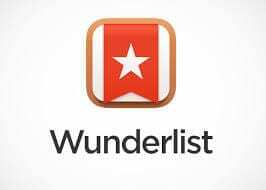 Wunderlist is a cloud based task management application that allows users to manage their tasks from a smartphone, tablet, computer or smartwatch. Microsoft have recently announced that it will be discontinued in favour of their new application ‘To Do’ which has direct integration with Office 365. I found that I have so many other web pages, apps open on my computer that I would just forget to look at it. Which is really not ideal when tasks are expected of you by your team. However, despite all the positives of using a application to manage them, I still find the best for me is an old school hand written paper list. It gives a lot of satisfaction being able to scribble through a line when it is all done. The only downside to this, we as a business are trying to go paperless. So, when we do use paper to jot things down, we try to use scraps of paper as well as misprinted pages that have come through the printer. Obviously the above is just a small sample of the different ways that you could choose to manage your to do list, other examples could be using calendar reminders, these worked well for me in the past for regular recurring items. We also rely on having other people chase us to get tasks done, but that is not always a good solution as they may forget themselves, too. Our support teams here for both Sage 200 and Sage Live use a whiteboard to next to their teams pod to keep a big visual list of all of the to dos for that week. As a business in general and for our management reporting of tasks to do, we use a product from Microsoft called Power Bi. This allows you to see data from many sources in a graphical format, which gets displayed on screens around the office. Now, no matter what you use to create and manage your to do list, you have got to have some way of prioritising the items on there. As time goes by you will be given more and more things to do. At the moment I currently have my task list split in to 3 sections on 1 sheet of paper. Day to day, Project items, then long term/ nice to haves. This allows me work on more of a priority system for what I need to do. Now there are downsides to my paper list, we are almost a completely paper free office, so as a comprise I do make my to do lists on scrap paper to minimise the wastage or new paper.You can also only fit so much onto a sheet of paper and ideally you just want to keep it all on one page as over that and it will just become an unmanageable task no matter how good you are. Following on from the last one, after you’ve crossed a certain amount of them out and need the space to add more in, you are going to need to re write out the list again on a new sheet of paper. This is something that I usually do once a week on a Monday, as I am able to review what I have to do for that week coming. 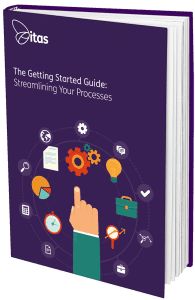 You need to find a mechanism of recording everything that works for you and makes you most productive. It also needs to be something that will be rewarding for you, mine is the satisfaction that I get to see things crossed off, knowing that they are gone. Also find something that helps you be more productive as having a logical system will just help you get more things done in your day. As no matter how many things you have on your to do list we are all trying to squeeze more things in whether they be in work or at home.